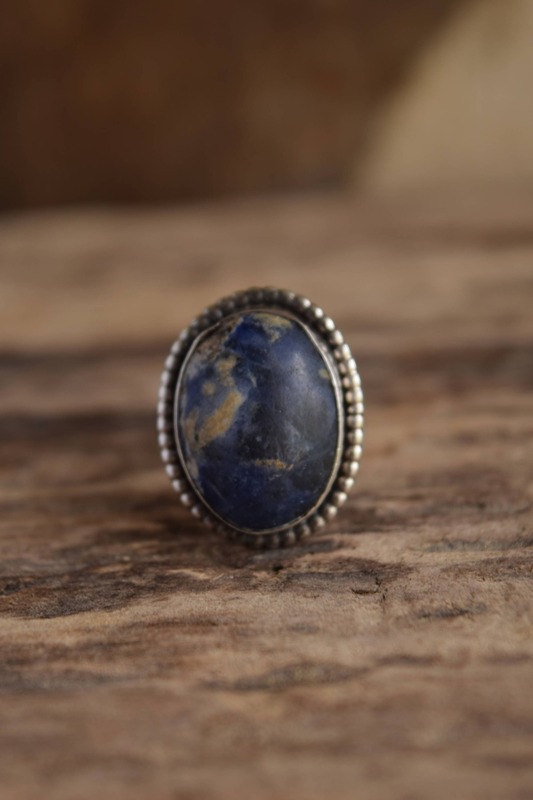 Add a deep splash of blue to your ring collection with this wonderful Sodalite Ring. 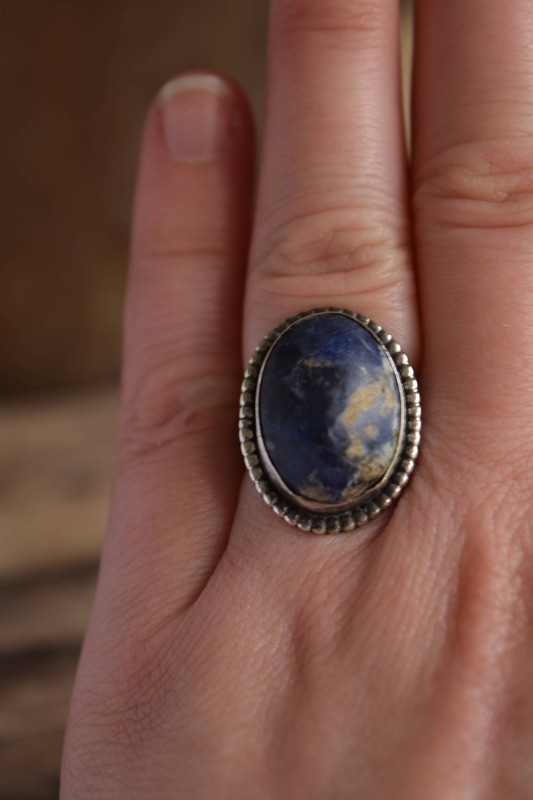 It features deep navy blues and veins of white, cream and brown for a unique look. 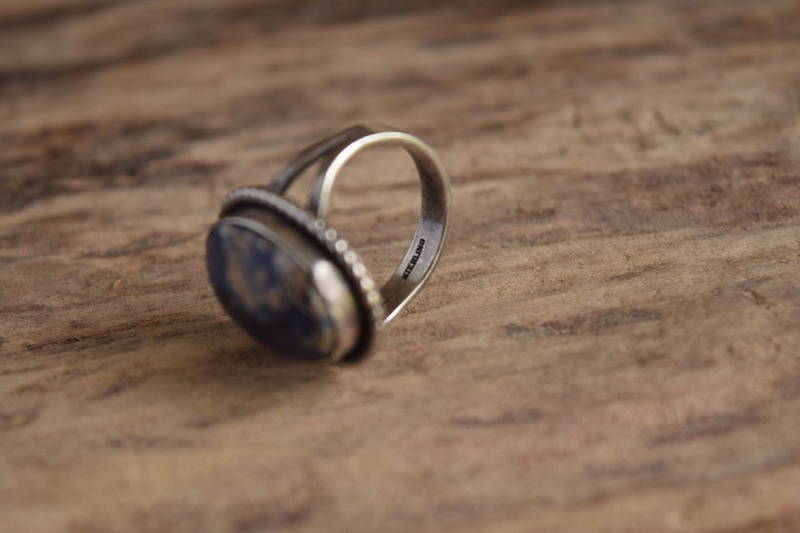 This natural stone ring has a low shine polish for a more rugged and natural look that will complement casual and bohemian wear. Condition: Good previously owned condition with minor notable flaws. 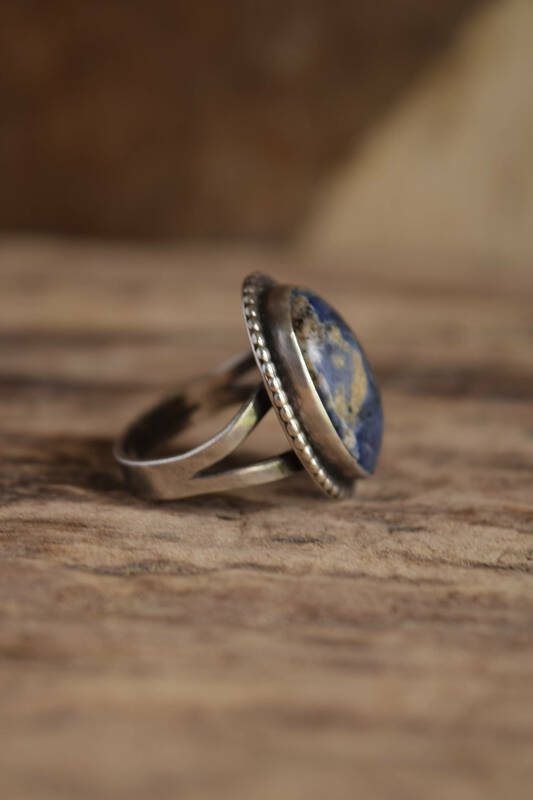 This natural stone ring has some indentation around the gemstone where the silver was pushed in to ensure the stone was flush. This occured where the darker maxtrix meets blue and can be seen in the lower right side of the ring in image 3. Additional close ups of this are can be provided upon request, don't hesitate to reach out. 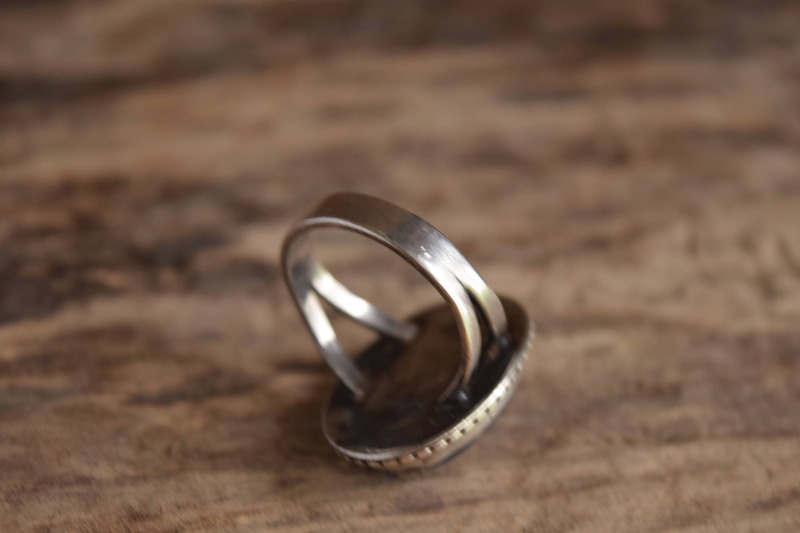 Otherwise this ring is in lovely condition, with surface wear consistent with age and use. Check out or latest finds on Instagram!